WHEN SIDEWAYS = 4" FROM WALL! 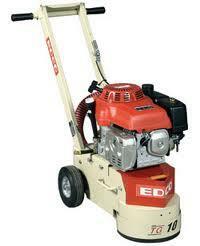 HONDA 11.0 HP 275 LBS L=43" - W=22" - H=39"
GOOD FOR LESS THAN 1/8"-1/4"; 2 x FASTER THAN CONVENTIONAL DUAL HEAD GRINDERS. * Please call us for any questions on our grinder turbo propane rentals in Santa Ana and Orange CA.